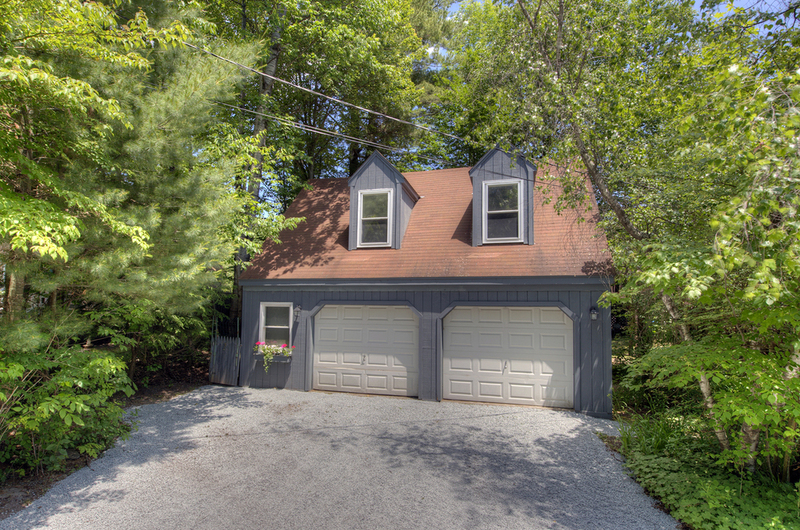 Indian Lake Cape (Sold): 3bd/3ba with in-law apt, 3-car garage and studio. $269,000 — Country House Realty: Fine Catskills and Upstate New York real estate, including Sullivan Co. and Ulster Co.
A lakeside oasis with multiple and varied outdoor nooks, this 1.5 story Cape on quiet and pristine Indian Lake has been with one family since the sons built it in 1985. They have continued to genuinely care for it since then. The last round of updates, just finished, includes a new kitchen and three renovated bathrooms. Enter the house up a short flight of stairs and you're in a lofty great room, with a 20-foot cathedral ceiling, hearty wood-fired stove and a glass-door entry to an oversized screened porch. The porch is sure to be the most-used room in the house during lake season. The great room is an open floorplan combining a sun-drenched living and dining area with the newly installed kitchen. Down the hall is a large bathroom, and two good-size bedrooms. 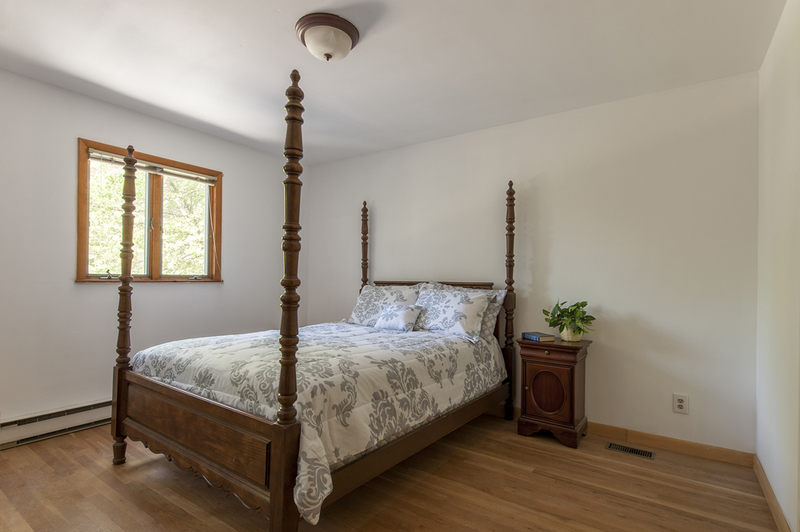 Venture upstairs and you'll find the master bedroom, and a second bathroom. Below all of this is a finished basement with a two-room in-law apartment, a third bathroom, a laundry room, and a single-car garage. 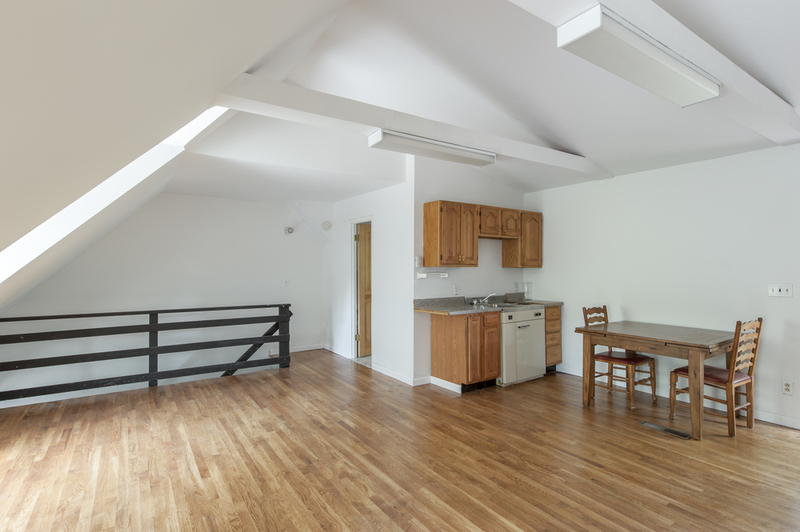 Next door, on the adjacent parcel and connected via catwalk on the lakeside, is a 2-car garage plus a studio apartment. The apartment could generate income as a lakeside rental, and you would still have plenty of house. Or keep it for your teenage kids or overflow of guests - they'll love you for it! The private Indian Lake community was originally built as a summer colony, with just a few seasonal cabins around the lake. Over the years, the families hunkered down and winterized, extending their summertime swimming and fishing activities into warm winters by lakeside fire pits, and Rockwell-inspired ice-skating right in the backyard. Stocked with bass and pickerel, Indian Lake is a small - less than 10 acre - clean and clear non-motorboat lake; just 90 minutes from Manhattan. The Bethel Woods Performing Arts Center and the shops and eateries on White Lake are 15 minutes away. This location has another excellent upside - the commute is just an hour and a half from the GW Bridge.